GUEST ARTICLE: You may think you don’t need a portable hard drive but I urge you to reconsider, many people keep only 1 copy of precious information like family photos on their laptop which can get lost or stolen or their home computer where the hard drive will eventually fail after a few years. 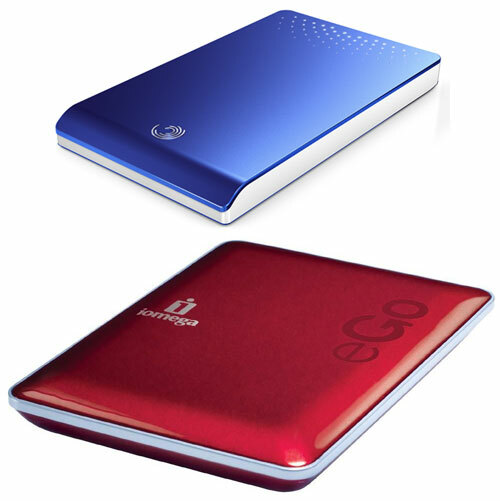 This review compares the Iomega Ego and Seagate FreeAgent Go 320 GB drives (298gb usable space). When it comes to backing up your precious data, it’s worthwhile investing a decent amount of time and money to make sure you buy the right product for your storage needs. However with so many portable media solutions on the market this can be hard. Iomega’s 320gb eGo is super sleek and curvy. It was clearly designed with style in mind for people who want their computer accessories to match their iPhone and Laptop/Macbook. With this in mind it has a shiny tough aluminum case and comes in three metallic colours: silver, midnight blue and ruby red. Iomega offers a 3-year limited warranty (registration required to extend from 1 year). According to Iomega, the eGo is shock proof from 1.3-2.1 metres depending on the model you choose. This is handy if you accidentally knock it off your desk or if you’ll store it in a briefcase or backpack during work trips or a travelling around on a backpacker holiday. Although it makes you feel warm and fuzzy inside knowing that your data should be safe even if your eGo gets battered and bruised, it’s probably better to limit the amount of stress you put on the eGo and avoid dropping it to just to see if it still works afterwards because magnetic platter hard drives were never designed to survive excessive or frequent shocks during use, storage or transit and will always be susceptible to some form of data loss or corruption if they’re thrown about. Like most other portable hard drives in the market, the Seagate 320gb FreeAgent Go doesn’t come with any shock protection. If you’re going to use it in one place this isn’t a big problem but it is called a “portable” hard drive and therefore you’d expect it will get a few bumps and knocks during its lifespan. What the FreeAgent Go lacks in shock protection, it makes up in size. It has a noticably smaller footprint than the eGo in terms of overall size and weight, and is equally sleek and thinner than its flashy counterpart. The FreeAgent Go is available in ten different colours and is backed up with a 5 year limited warranty, two more years than the eGo. 4 tiny rubber feet help to prevent the eGo skidding off your desk at the slightest touch as well as allowing some airflow underneath the drive during data transfers. The FreeAgent Go doesn’t need rubber feet because its case feels rubberized which gives the unit grip on most surfaces. Both portable hard drives connect to your Laptop/PC via a USB cable for data transfers and power. The 57.5cm Iomega cable is long enough to plug into USB slots on the bottom of a tower case and extend so the drive can sit on top of the tower case whereas the 45cm Seagate cord is too short to do this. The Iomega eGo is sold in a standard cardboard box with an easy to access plastic case inside. In comparison the Seagate FreeAgent Go is sold in a horrible multi-layer hard plastic case which you could easily cut yourself with quite badly. If you do buy it be very careful with your fingers while pulling the drive out of its case after using big scissors to hack through the plastic. Iomega has a little blue LED light next to the USB port which flashes quite brightly and obviously when the drive is being used for data transfers. The Seagate has a much cooler dotted pattern of holes on its case that light up and pulse slowly during data transfers but this pulsing can be hard to spot if the drive is under bright lights. Both portable hard drives were put through their paces in a two pronged speed test transferring a large amount of data from a desktop computer (Windows XP SP3) hard drive to the portable hard drives. Results reveal that the eGo delivered faster performance than the Free Agent Go in both tests by a small margin. A quick price comparison of Australian online shops revealed that the the Seagate Free Agent Go sells for $98 which is a little cheaper than the eGo for $115. The Seagate FreeAgent Go has the advantages of being slightly smaller, lighter and cheaper than the Iomega eGo but in the end I recommend buying the Iomega eGo for peace of mind because of it’s drop protection and aluminium case. Plenty of companies have their own lines of portable external hard drives for carrying data on the go, but few have the polish of Iomega’s eGo drives. We’ve already reviewed several eGos including the eGo Helium, eGo Camo, and eGo Brown Leather and they all impressed us with a healthy amount of extra features and added drop protection. We haven’t heard from Iomega in awhile, so we’re happy to welcome a new addition to the eGo family; in fact, we think this new 320GB eGo Portable reinvigorates the series with a sleek new design, a triple-layer software bundle, and even faster transfer speeds than previous models; we have no hesitations about giving the Iomega eGo Portable a CNET buying recommendation. The latest generation of Seagate’s FreeAgent Go drives comes in a slender casing (12.5x80x130mm) and is certainly light enough for easy transport at only 160 grams. Do the portable hard drives come with their own software to back up and is backup done automatically? EDITOR: both have backup software. the Seagate software is slightly better than the iomega software. I should also mention that the FreeAgent Go has shock protection built into the case. It just isn’t as bulky. As Seagate puts it … “At a height of only 12.5mm, the new FreeAgent Go easily fits in a pocket while still including all the advanced shock and vibration protection people have come to expect from Seagate. 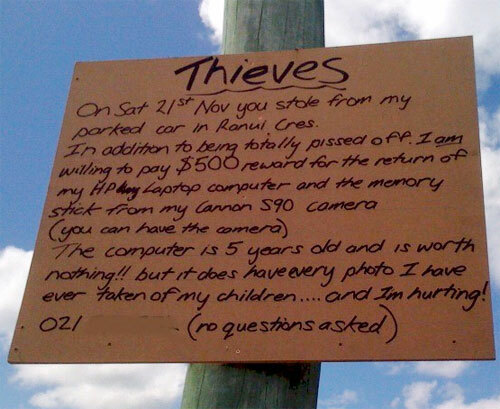 ” Maybe you should try dropping them and tell us if it is true. I am really lost in the battle. Is it shock-proof or not really? Its hard to believe Seagate would miss such a crucial feature and yet offer 5 yr. warranty! I hope Heidi is right, but Heidi, where did you got the Seagate’s declaration “all the advanced shock and vibration protection people have come to expect from Seagate…”? My Iomega eGo made more and more troubles the last times I used it for data backup until it didn’t work any more yesterday. I decided to open the case just for interest. Guess what I found inside, a Seagate Momentus 5400.6 320 GB. And by the way the case is 50% plastic material minimum. The top surface of the case is aluminium, thats true, may be 0,7 mm thick. It looks nice and I loved having it. Probably it was sqeezed to much in my suitcase, i don’t know.